Get a great price on the iJoy Captain PD270 from Vapor DNA. It’s not every day that I get to review a possible game-changer, so I was really excited to receive the new iJoy Captain PD270 for testing. 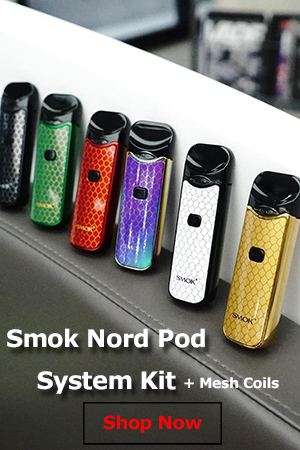 This is a dual-battery mod that comes packed with the most advanced features available today, but what really sets it apart from other advanced mods is the fact that it supports 20700 batteries, as well as standard 18650 batteries. 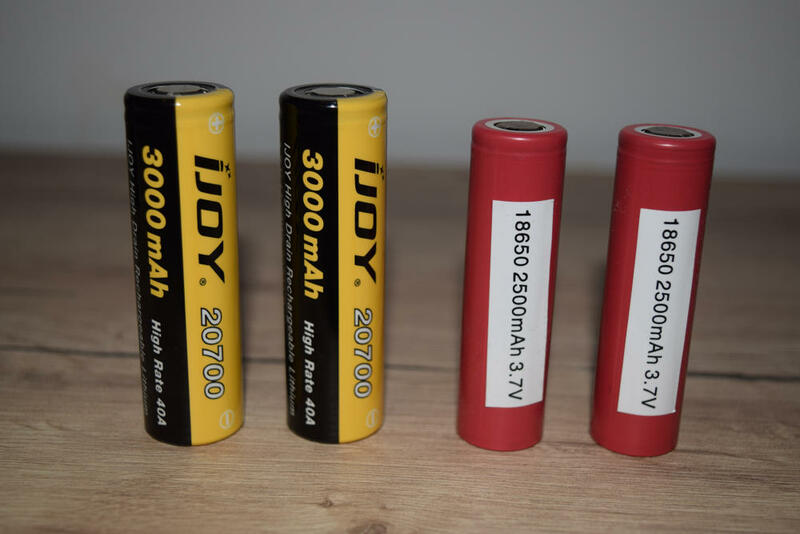 The new 20700 batteries are supposed to boost battery life significantly, and they may soon become the new standard in the vaping industry. 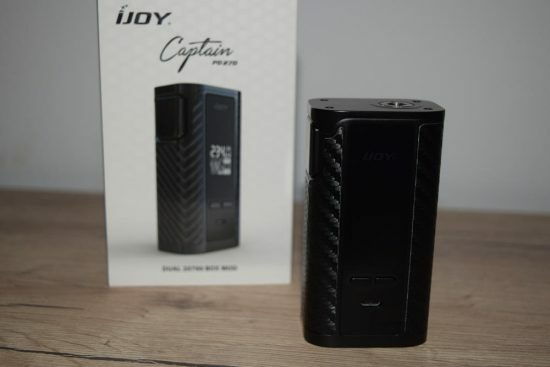 The iJoy Capyain PD270 comes in a black-and-white cardboard box, with an image of the mod on the front, and a short description of the device, a list of features and the kit contents, on the back. 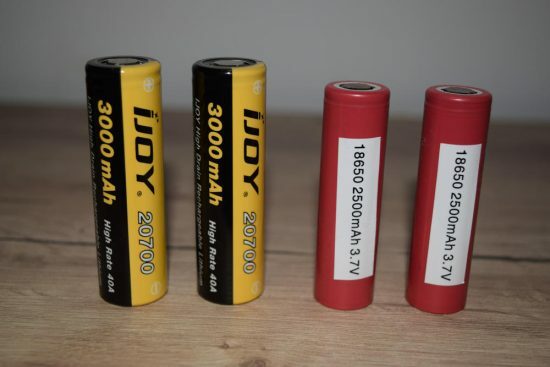 Interestingly, in their description of the Captain, Ijoy specifically states that they believe that 20700 batteries will replace 18650s and are the future in vaping. Time will tell, but a higher battery capacity definitely sounds great. Inside the box, we have the Captain mod sitting snug in a Styrofoam holder, and underneath it, are a micro-USB cable for charging/updates, a beefy user manual, a silicone adapter for 18650 batteries, and, “la piece de resistance”, two brand new iJoy 20700 batteries. The fact that the Chinese company decided to include these new batteries in the kit, rather than forcing you to buy them separately, is a huge pro in my book. 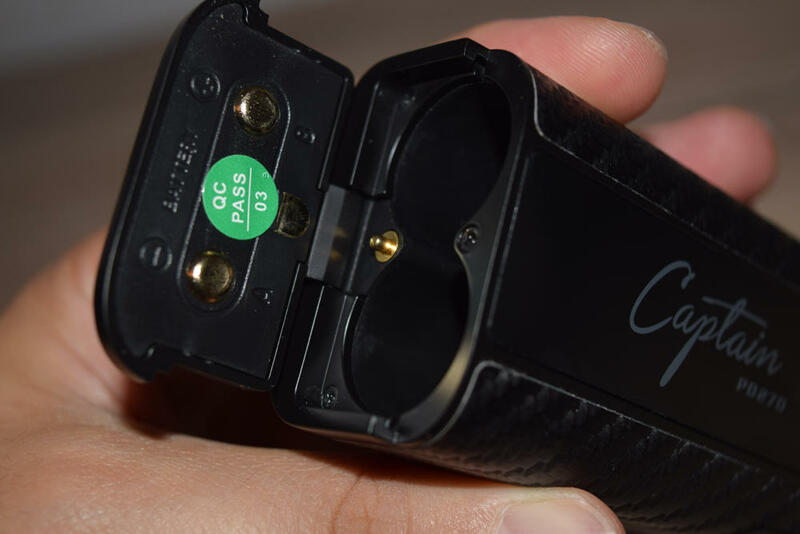 Now, I don’t know if all kits come with the batteries, as on the back of the mod there is this little checkbox nest to ” 2 x 20700 batteries” and it was checked. That might not be the case with all products. But if you have to choose, I definitely recommend going for the kit with the batteries, because they are what makes this mod special. 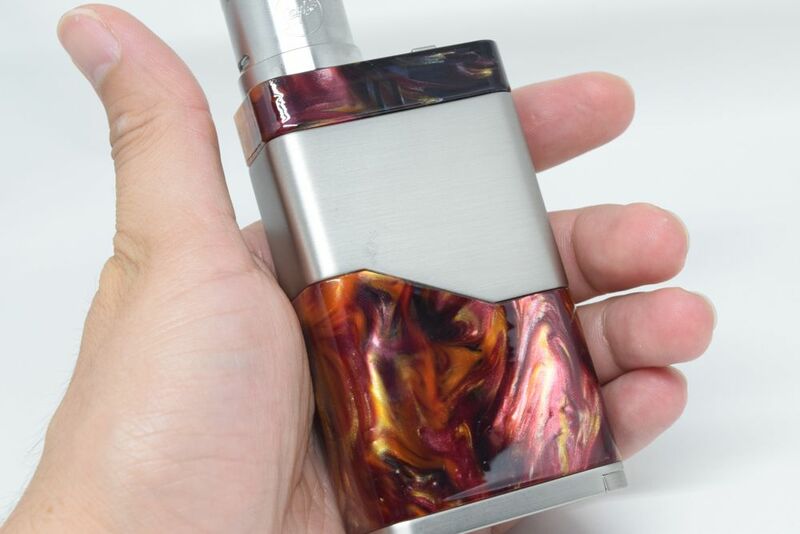 The design of the iJoy Captain PD270 reminds me a bit about the original Joyetech Cuboid. 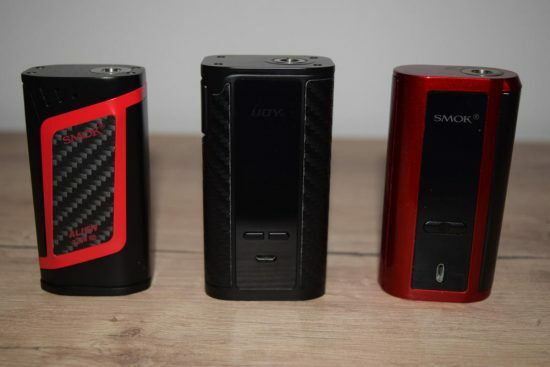 It has that same compact brick shape, but it’s a bit taller and bulkier in order to accommodate the large 20700 batteries. 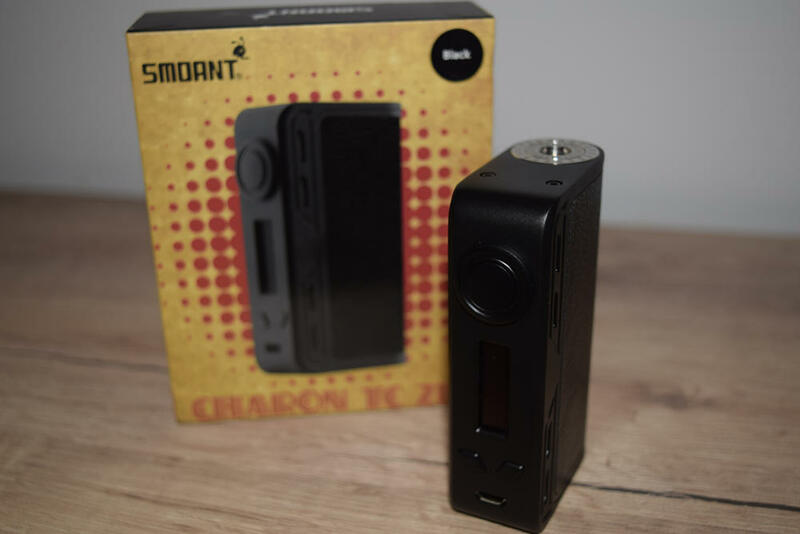 The Captain measures 89 x 48 x 32 mm, which puts it in the same size category as the new SMOK T-Priv, of which I will be posting a review very soon. This is a a mid-size device thick enough to accommodate atomizers of up to 300 mm in diameter without any overhang. Due to its girth, it’s not as comfortable in the hand as the SMOK Alien 220W or the Wismec Predator 228, but it’s a lot better than large mods like the iJoy MAXO or the new GX2/4 in quad-battery mode. It’s basically a compromise between these two categories, in terms of both size and battery life. The iJoy Captain comes in no less than 54 different color combinations, which is just insane, considering most companies only offer a handful of color options. My sample was all black, and I can tell you that it’s absolutely gorgeous. I particularly liked the carbon-fiber stickers that cover most of the body, but the glossy side panels are a nice touch as well (unless you absolutely hate fingerprint marks). 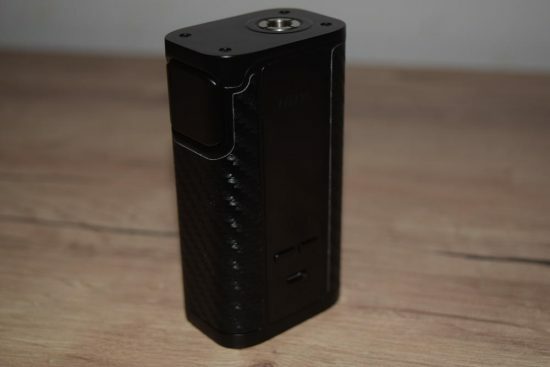 The first carbon-fiber imitation I’ve seen was on the SMOK Alien 220W. It was pretty good, but iJoy’s version is much better. Not only does it look realistic, but it also has a very realistic texture. I’ve been using the mod for over a week now, and the stickers have been holding up pretty good, despite the constant sliding in and out of my jeans pockets. Another interesting feature of the Captain PD270 is the large square-shaped fire button. 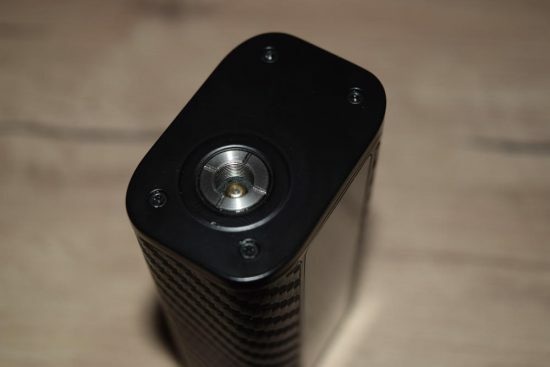 It takes up the entire upper half of one side of the mod, so it’s like a mini fire bar that you can activate with just your index finger, by squeezing the mod. I thought that it would take some getting used to at first, but it’s actually really easy to work with. The “+” and “-” buttons are located on another side of the device, right under the OLED display. They also work very well, and have absolutely no rattle (at least on the mod I tested). Under these two smaller buttons, we have the micro-USB port, which can be used for both charging and firmware upgrades. The OLED display is about the size of that of the SMOK Alien, and I have a feeling that the interface itself was inspired by the same mod. Even though the layout isn’t exactly the same, the screen is just as cluttered (in a good way) as that of the Alien, with plenty of information being displayed at all times. The icons are large enough to see without straining your eyes, and the brightness can be adjusted via the menu. The battery door is on the bottom of the mod, and it’s the same style door as the SMOK Alien. You just slide it outwards and push it up to open, slide in the batteries and then slide it back in and it locks. It’s very simple and effective. 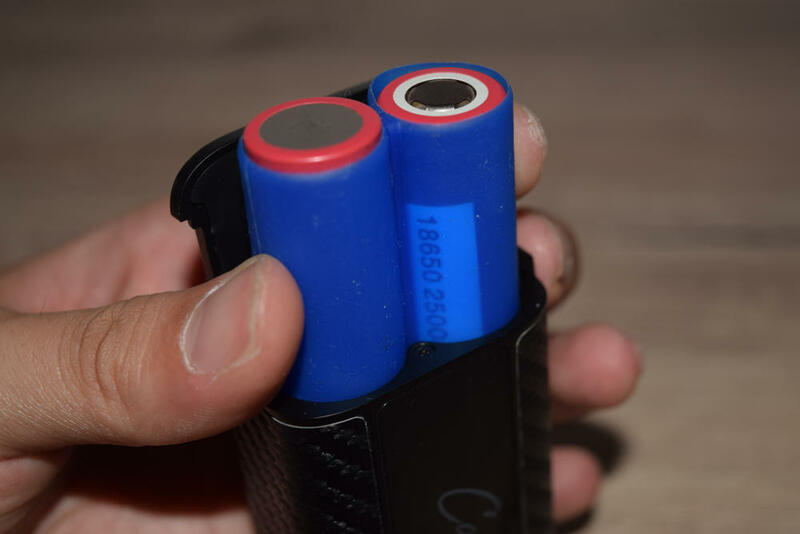 It’s worth mentioning that if you want to use your 18650 batteries as backup for the Captain, you can, with the help of the silicone adapter included in the kit. Just insert the batteries into the adapter (paying attention to polarity) and just pop into the battery compartment, as you would the two 20700s. But the thing I like most about this mod is the 510 connection, particularly its positioning. Instead of placing it near the edge of the mod, like most other companies like to do, they’ve moved it toward the center, which allows you to attach any atomizer up to 30 mm in diameter without the least bit of overhang. I don’t even have anything biugger than 25 mm, but it’s nice to know that if I were to get one, I can use it without any issues. All in all, the iJoy Captain PD270 is a very solid mod, in terms of design, build quality, customization options, you name it. I’ve always been a big fan of iJoy’s menu system and navigation. Actually, everything about their Iwepal chips has been great in my experience, from user interface to performance, and I often said that other manufacturers (I’m looking at you, Joyetech) should really draw inspiration from this company. Luckily, the new Captain PD270 follows the same line, and I couldn’t be happier about it. 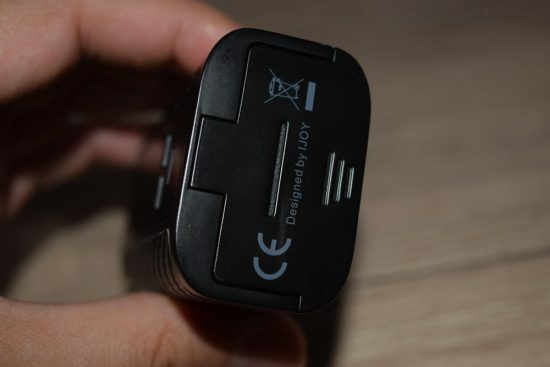 To get into the menu of the iJoy Captain PD270, all you have to do is press the fire button three times. 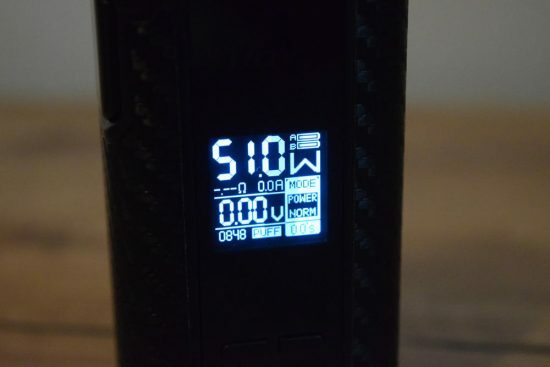 Once you’re in the main menu, you are presented with five simple icons – “Pw’ for Power Mode, “Tc” for Temperature Control, “TCR” for Temperature Coefficient of Resistance, “SET” for Settings, and “Reset Puff” which resets the puff counter. You navigate between the icons with the “+” and “-” buttons and access their respective sub-menus by holding down the fire button. In Power mode, you can select a preheat option, from Soft, Normal, Hard and User. That last one opens up an advanced menu where you can set a custom preheat chart for the first 3 seconds of the draw, in 0.5 second increments. This basically lets you customize the vaping experience to your liking, but I would suggest ignoring it, if you’re a beginner. In temp. control, you can choose what material you’re going to use, from stainless steel, titanium and Ni200, as well as a couple of memory modes. To change the wattage in temperature control, you simply press the “+” button while on the home screen, and you see the “W” icon start to blink. You can then adjust the wattage. If you press the “-” button, you can adjust the temperature. TCR is an advanced feature that I never use, and, unless you really know what you;re doing, I suggest staying away from it too. In SET, you are only presented with four screen time options, from 10 seconds to 90 seconds after you press the fire button, and, finally, in reset Puff, you can reset the puff counter. That’s about all there is to the menu, simple and easy to understand, as is the navigation. To be honest, they are both very similar to those of the MAXO and Limitless Lux, which is great, as far as I’m concerned. 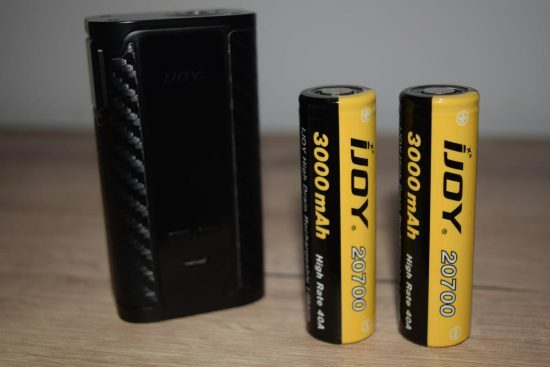 The extended battery life is one of the main selling points of the iJoy Captain PD270, and I was really happy to see that it wasn’t just marketing. These new 20700 batteries are much better than the usual 18650s. I usually get a day, maybe a little over that out of a couple of 18650 batteries, vaping at around 60W, but with these new batteries, I got an average of two days, which was pretty impressive. 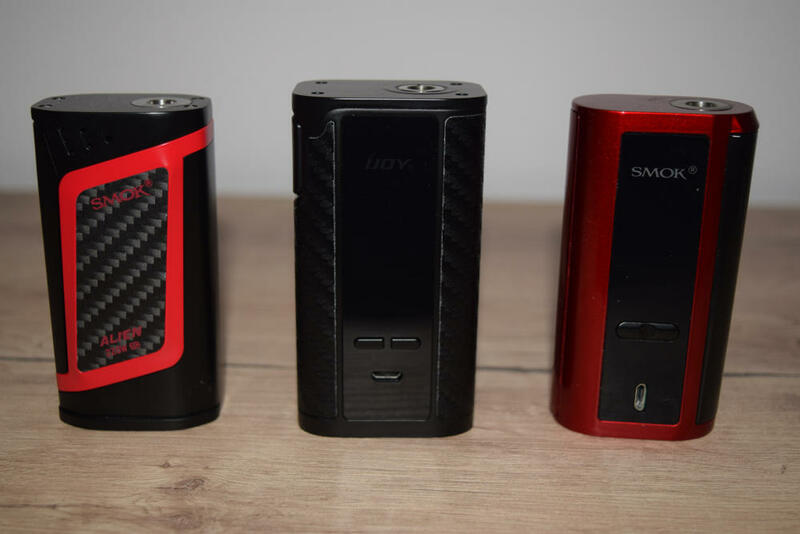 You get maybe half a day more out of a quad-18650 device, like the iJoy MAXO, but you compromise on comfort and portability. The Captain is a slightly larger Alien 220W with almost double the battery life, which is amazing, if you ask me. I don’t know if it’s the improved Iwepal chip, the new 20700 batteries, or both, but the battery life of the Captain PD270 is simply phenomenal. 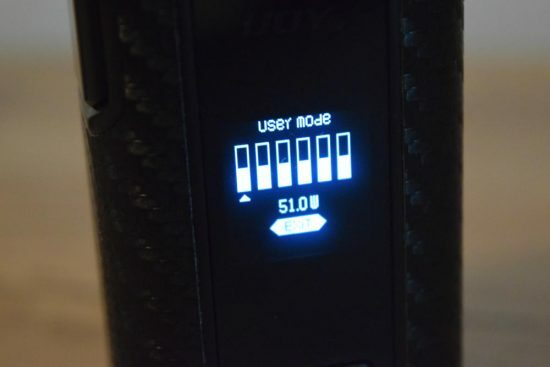 Feature-wise, the iJoy Captain doesn’t really stand out from most other advanced mods. 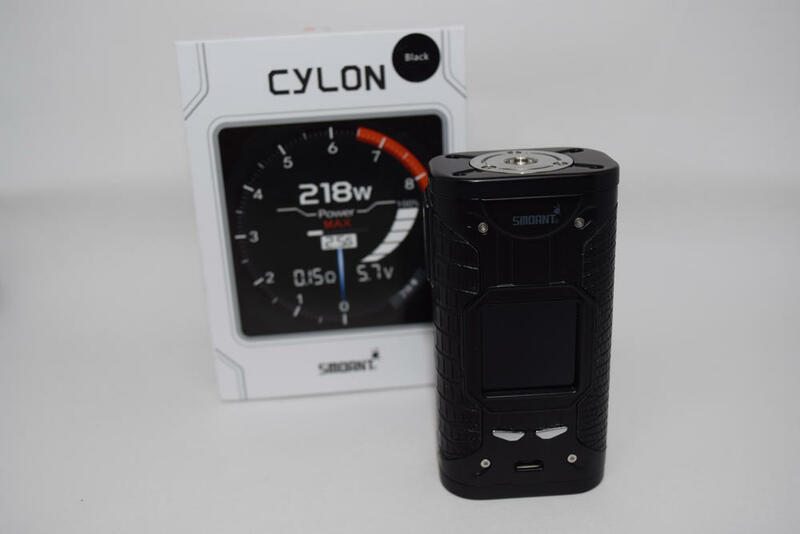 It does wattage and temperature modes, supports the usual materials for temp.control, has TCR and memory mode, pretty much all the usual features. That’s not a bad thing, by any means, but it doesn’t bring anything new to the table. 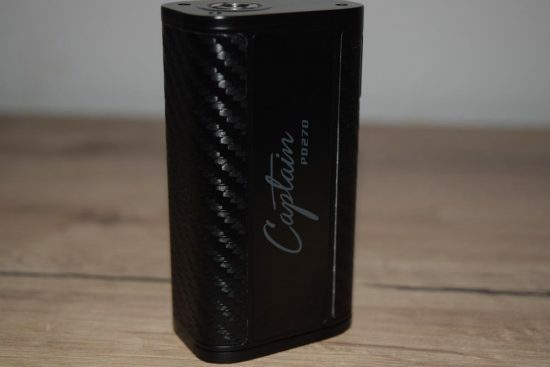 In terms of performance, the Captain has a maximum power output of 234 watts, which is a bit better than the 220W standard of dual-18650 battery devices. That’s way more than enough for me, since I rarely vape over 100W, and it’s better than what you get out of any other dual-battery mods anyway. I haven’t used the Captain in temperature control too much, but I did try it with a stainless steel coil head, and it seemed to work pretty. I don’t want to get into details, though, because I’m hardly an expert on temp.control vaping. I don’t like it very much, so I don’t really use it at all. Another important thing worth mentioning is that the fire button has virtually no delay. You can hear the coil sizzling as soon as you press the button, so you don’t really need to press it a second or so before a draw, to pre-heat the coil. 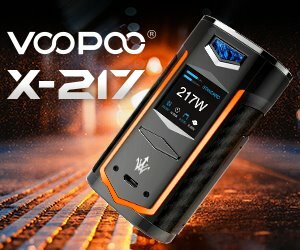 In that regard, the Captain PD270 is as good as the Wismec Predator 228 or the SMOK GX2/4. Overall, I found the iJoy Captain PD270 to be a great mod, and I really think that, as the first device to use the new 20700 batteries, it really has the potential to be a game changer in the vaping industry. I love the design of it, the size is ok, even for my small hands, and the menu and navigation systems are very user-friendly. To top it all off, it just a very solid-performing mod. I’ve had no strange issues with it, it fires when it should, seems to be very accurate in both resistance reading and power output, and it’s just an-all around great mod. Did I mention that it also comes with two 20700 batteries? If you’re on the fence about buying this mod, get it, it’s definitely worth your money! This mod was sent to me for the purpose of this review, by Heaven Gifts. Push the up and down buttons at the same time and hold for 2-3 seconds and it will lock. I have Had this mod for 2 months now. It was an emergency replacement after previous mod was stolen. I did not plan to buy an ijoy product. It turned out to be a winning out come. Review on this page is is accurate. I use temp mod regularly and it functions better than other mods I have owned before and I have owned a few mods. Very simple control features that makes operating easy. It produces good flavor that equals the best of the mods I have owned. I did not regret the purchase like a few I have in the past. Cons a little bigger than some mods because of battery size it houses, but not so much it is uncomfortable. 2nd little thing button size makes it easier to fire in pocket if not careful. Still cons are little things. I would buy again. I bought my kit about 6 months ago, I absolutely loved it up until a few days ago I took a hit off it and sat it on my side table and all at once it started firing on it’s own, it really scared me, I take very good care of my mods, I don’t drop them I clean them and maintain them how you should and now I. Can’t use it AT ALL. I REALLY WANTED TO KEEP IT I LOVED IT.